Stunning both in design and operation. 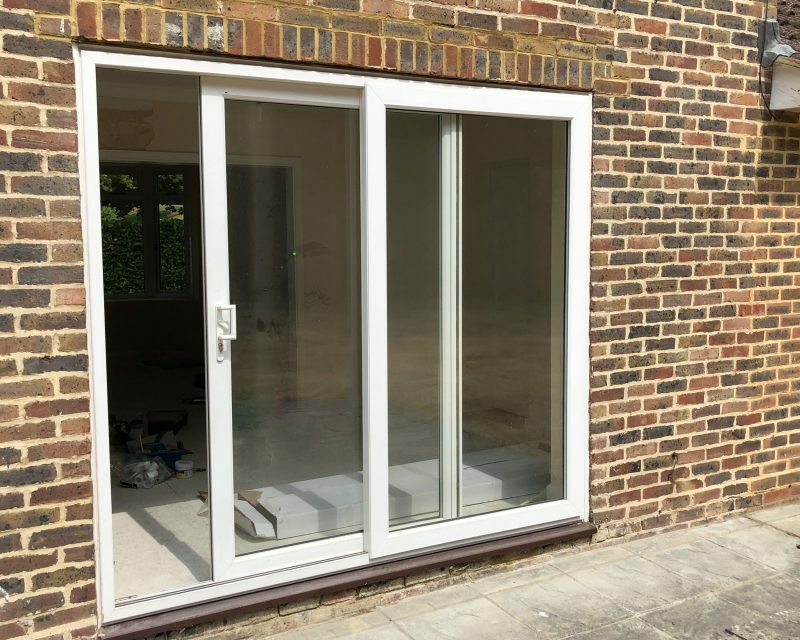 The go-to solution for people wanting to maximise their views, our sliding patio door is the perfect addition to any property. As well as allowing the maximum amount of light into your home, sliding patio doors are space-effective and suitable for any home – regardless of style or age. Create an uninterrupted view of your garden with an aluminium or uPVC patio door and make the most of your home’s surroundings. Installed by one of our patio door experts, we are committed to helping you achieve outstanding results and enabling you to fully utilise your property’s space. Manufactured using only the highest quality materials. Our sliding patio doors offer a range of configuration options. Unique inline or lift and slide design. A high performance durable system. Narrow profile with single, double or triple track options. A complete range of handles, accessories and security features. 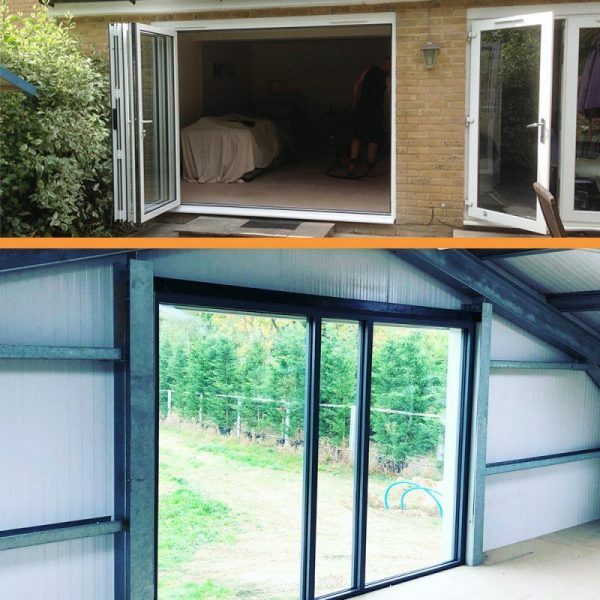 Using durable materials and the latest product technology on all our sliding patio door installations ensures you can always feel safe. Its stainless steel multi-point locking mechanisms and anti-lift strips prevent the door from being lifted. 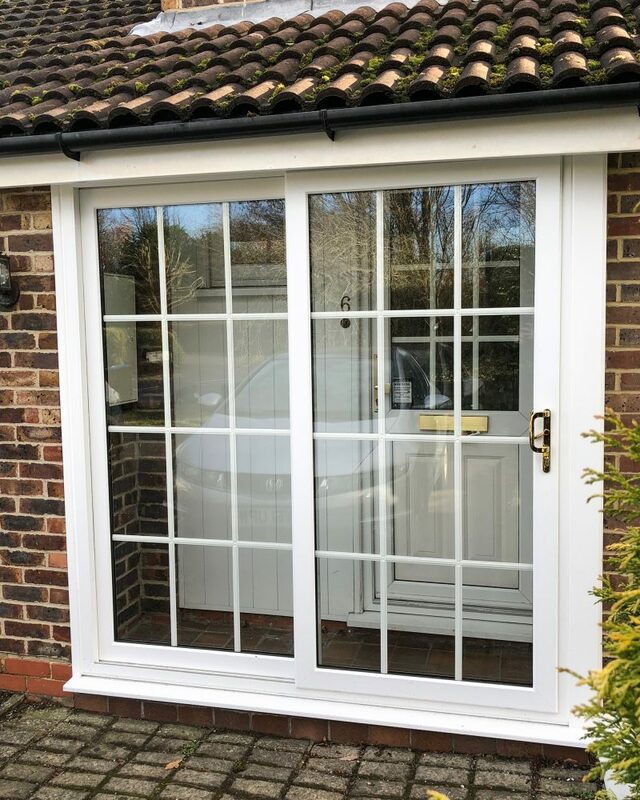 As well as protecting you and your possessions from intruders, our doors protect you from the elements to keep your home warm and dry. 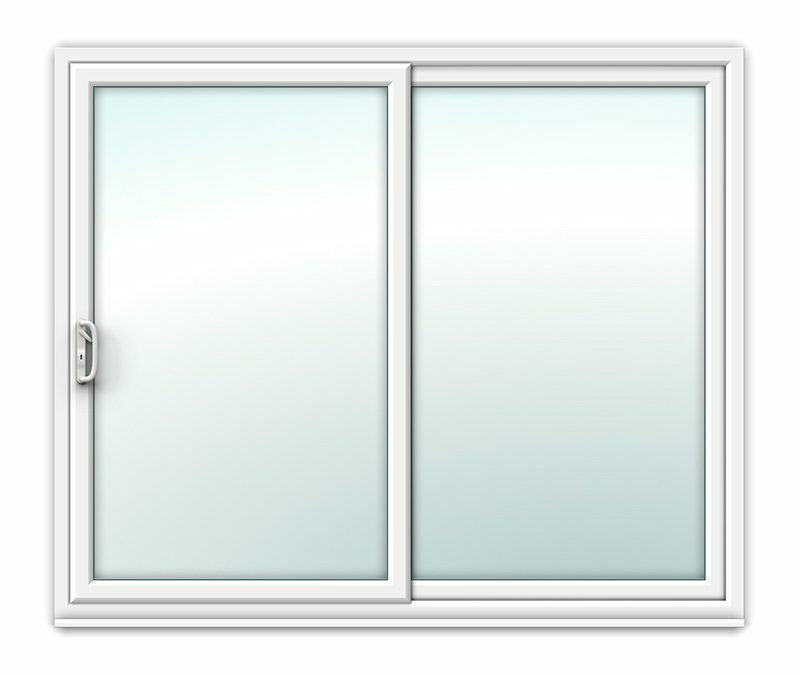 All patio doors are double glazed and fully sealed, keeping your home draught-free. Every home is unique, this is why we provide a range of materials, colours and finishes for your sliding patio doors. We’ll take the time to understand your needs and envisage the style and character of your property to design the perfect sliding patio door. 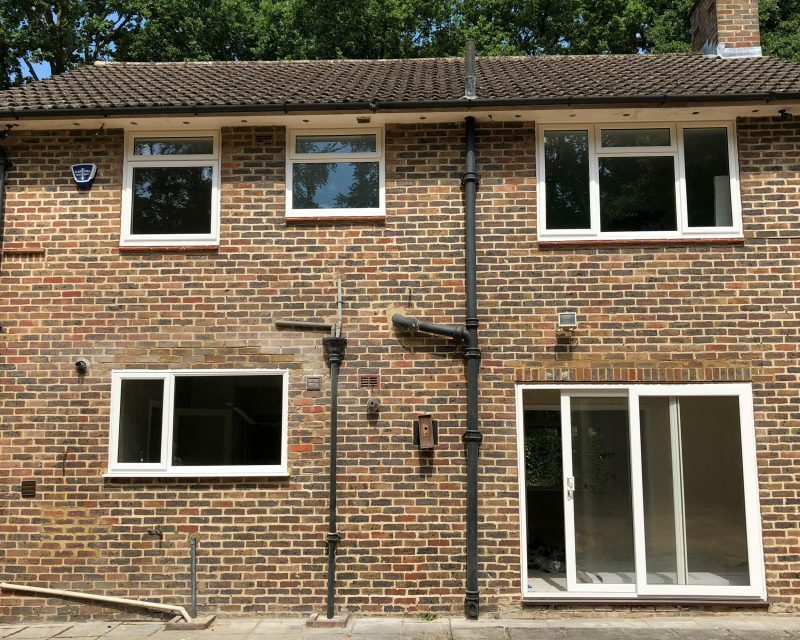 As with all of our installation services, we carry out a made to measure fitting service. 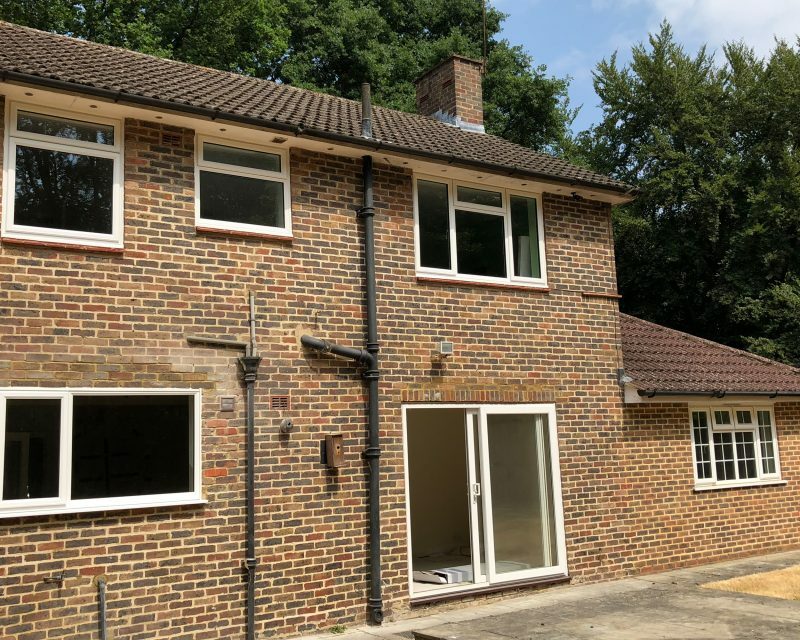 Our installers are dedicated to ensuring your product is installed to last well into the future. So much so, we label all of our products (including our Sliding Patio Doors) with a 10 year guarantee! 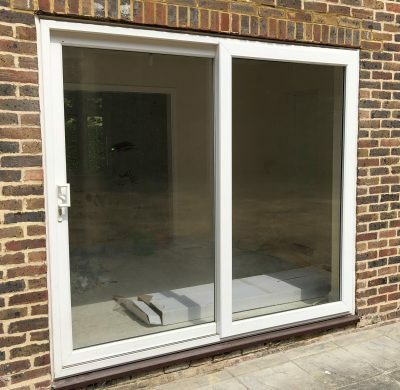 uPVC and aluminium sliding patio doors used to be the weak spot on a home and were a welcome sight to burglars. Not anymore. 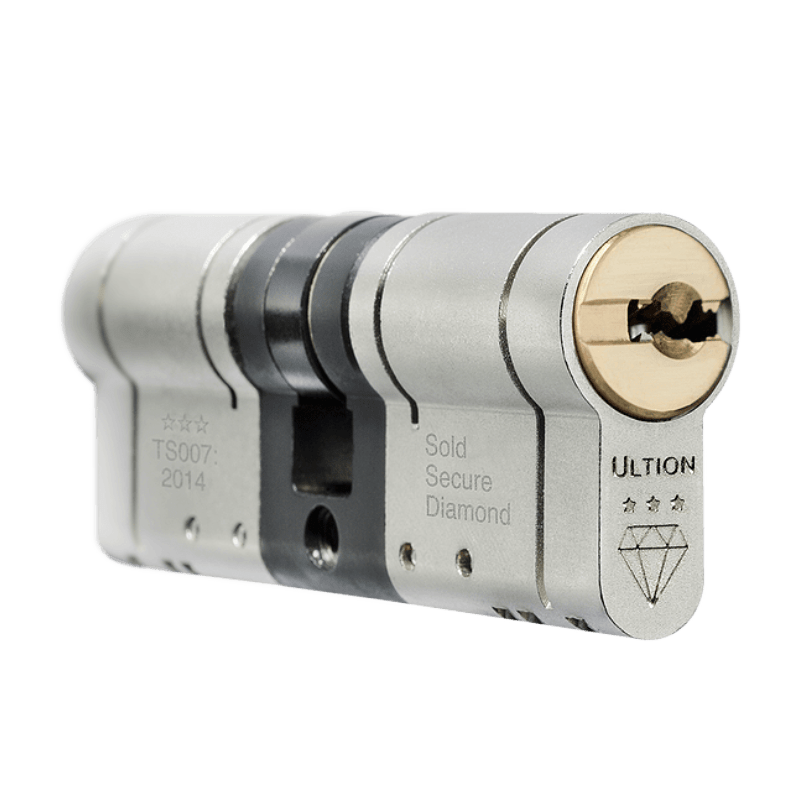 Designs have evolved and new technology has made them one of the most secure doors on the market. 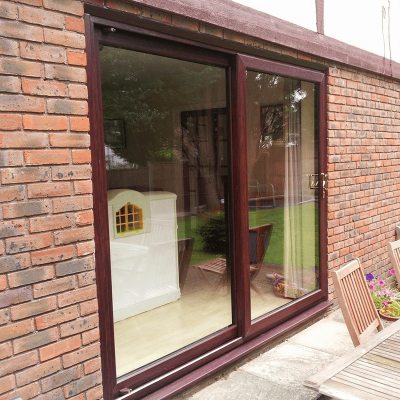 Each of our sliding patio doors are constructed from systems with Secured By Design status. 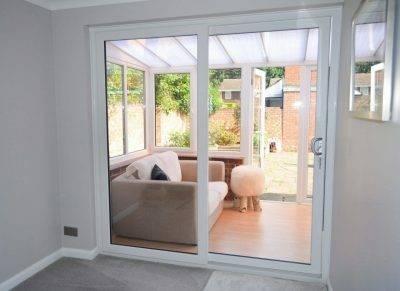 Our sliding doors boast outstanding weather and energy performance. They come with a fantastic A+ energy rating and each door has passed the air pressure test of 450 pa in pressure. Each door is fitted with energy-efficient glazing too! You will have a range of handles, accessories and security features to add-on. You could also combine the door system with side panels to create a “wall of glass”. A floor to ceiling height narrow profile with single, double or triple track options. 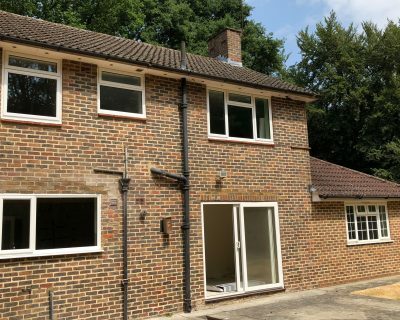 The slimline profile provides maximum daylight and wider, improved views of the outdoors. They provide a smooth operation through its stainless steel, easy-glide rollers. 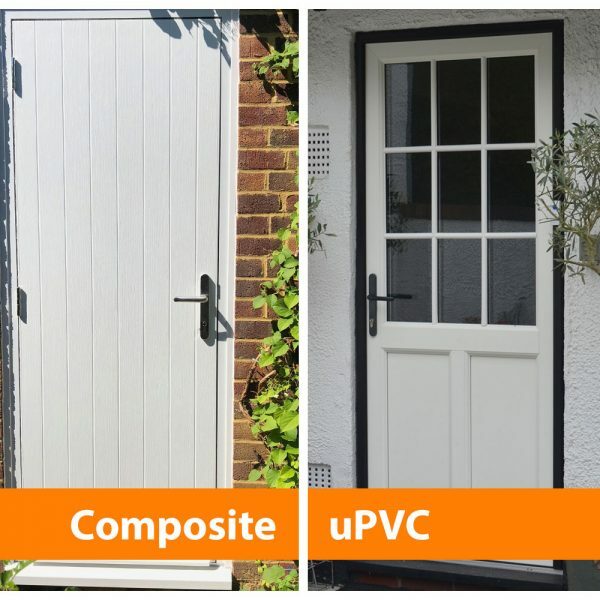 Popping outside doesn’t need to be a hassle, along with it’s easy operation, the doors can open without disturbing furniture. The doors also have an anti-lifting block, which keeps the doors securely fitted to the tracks. 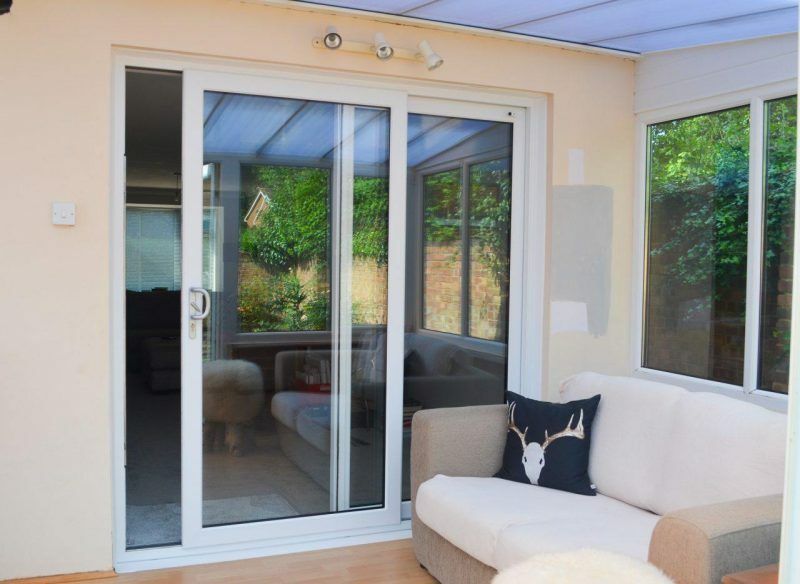 Let's discuss the potential of a Sliding Patio Door for your home! For a free sliding patio door quote or to have some of your questions answered, chat to a member of the team.